Divine Impacts | No Opportunity Wasted! Posted February 7th, 2013 by Jeff & filed under Spiritual. Time: it is something that seems to be endless and from a scientific standpoint that could be true; but to each of us individually, time will stop. Be on your guard [constantly alert], and watch and pray; for you do not know when the time will come. (Mark 13: 33). For the Christian, this is typically understood in reference to the return of Jesus Christ; the second coming. But one thing I know to be certain; Believer or not, each of our lives will come to an end. Do you find yourself taking for granted your time on this earth? Maybe your priorities are mixed up and you’ve lost sight of the things that really matter? I, for one, can be honest with you when I say I have spent countless years; years which cannot be reclaimed and have sadly and shamefully been squandered focusing on things which have made absolutely no positive impact in the world. Now, as I am reaching what I like to think is my half-time in life, I find myself reflecting and taking an inventory on my life and asking this very simple yet important question: Is my life on this earth making a positive impact on others? Will my life here have made a difference or will it be as though I never existed? I for one cannot go another day believing that my sole purpose for being created was to merely take up space and exist. No, each of us has a much greater purpose for being put on this earth and the heart of humanity is counting on each of us to fulfill that purpose. Over the past 12 months I have lost 2 dear friends who at one time I spent numerous hours with on a daily basis. Both of these people made a profound difference in my life and could have both been considered big brothers in my life. But as life would have it, we all get busy, we move on, our lives “seem” to go in different directions and those conversations that use to take place daily seem to shift to once a week; then a few times a month; and before you know it you are just checking in once or twice a year. Then unexpectedly, we receive the news we acted as though we would never hear; our dear friends have passed away! The death of both of my friends completely caught me off guard and it was as if they both left forever without me being able to say goodbye; without me being able to tell them how much of an impact they made in my life; without them knowing how much I respected, cherished, and valued their friendship; without them knowing how much I truly loved them! Then we find ourselves filled with the “what-ifs”; the regrets of not just picking up a phone and taking a few minutes to touch their lives as well as allowing them to touch yours; making that connection; creating more memories; wasting no opportunities! Through the opening of my eyes I wish to hopefully assist many of you out there whom, like myself, have been going through life with blinders on and irresponsibly allowing valuable time to pass without making the impacts we are called to make. Here are a few suggestions, all of which I am attempting to implement into my life now! Make a list of all those who have at some time in your life made an impact on you. Once that list is established, make it a point to set aside a little time every week to reach out and contact them; tell them how you feel about them; how they have affected your life and simply thank them. Oh, and don’t be afraid to tell them you love them! The value of that relationship can be deepened and realized now; don’t wait until it’s too late. “A new command I give you: Love one another. As I have loved you, so you must love one another.” (John 13:34). We cannot possibly love those with our hearts if we are cut off from them. Reach out; connect and share your love. Also take a look at those relationships that have been damaged, be it by your owns actions or by those of others. Take the high road, take the first step and reach out. Ask for forgiveness if you feel you need to and if they have done something to harm or offend you, let it go and forgive them. I have had some amazing relationships rekindled with old friends over the past few months because I looked past the incident and into the heart of which was our relationship. I went to re-establish peace and lo and behold I found peace; and I reconnected with a fellow brother or sister that I care deeply for. Simply put, waste no opportunity to reach out and value relationships with others. Be it family members, old friends, neighbors you have yet to meet, co-workers; the list goes on. But remember that the sands within the hour-glass that is your life are quickly flowing. Make each grain count! There are people out there needing you and guess what? You need them too! Reach out; Connect! No Opportunity Wasted! “Yesterday is gone. Tomorrow has not yet come. We have only today. Let us begin.”-(Mother Teresa). I value our friendship Jeff! Great job yet again. You really do a great job of putting powerful feeling into your writing. I love you, man! Keep seizing those opportunities. You really walk the walk and people are benefiting! Wendy, you bring up a good point. If we believe in fact that everything happens for a reason, then even those times we look back at what appears to be a non-productive, we can learn and grow from. My hopes are that my article help people become aware of that a little sooner in life than learning the hard way. Call it seeking wisdom! THANKS so much for your comment! I appreciate it! Thanks for your wise words, Jeff. You are such a gifted writer! (And I thought you were just a musician 🙂 I really enjoy your blogs, thanks! Michelle, THANKS SO MUCH! It’s awesome to know someone down there in TX is checking these out. I really feel drawn to this Divine Impacts Ministry! I am working on one for ACTS! Keep and eye out. If you could follow this blog, it would help for me to grow the site! Pretty please! 🙂 Again thanks for the kind words; miss you guys! I agree with Wendy…your time has not been wasted .. it brought you to this point with a wealth of experiences to share. That is a purpose my friend. Hi Jeff, Thanks for this post. 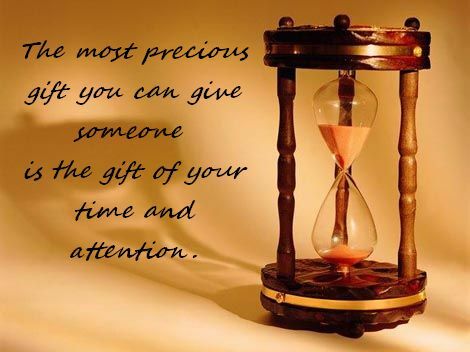 I do agree we waste too much time and are not grateful for what we have and that includes time. Madonna, thanks so much for the comment. I appreciate your affirmation. Life is precious and we should always appreicate what we have. Thanks so much!